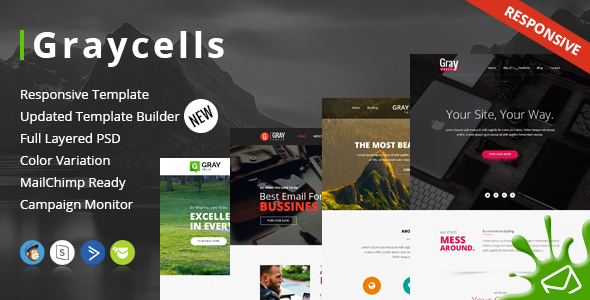 Graycells Newsletter Template with StampReady Online Builder Access. 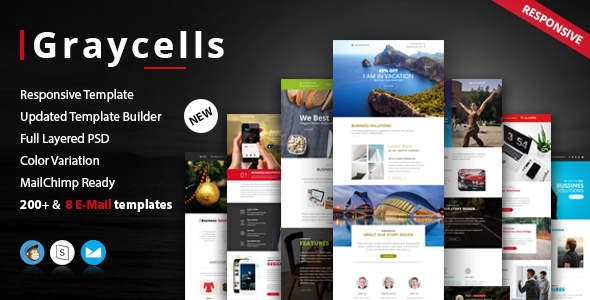 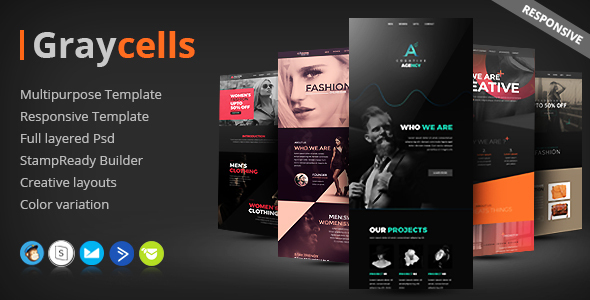 Graycells Newsletter Template is the Responsive Email Newsletter Template designed for Corporate, Business, Office, Agency and general categories. 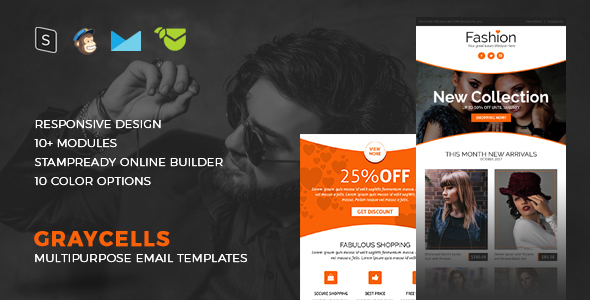 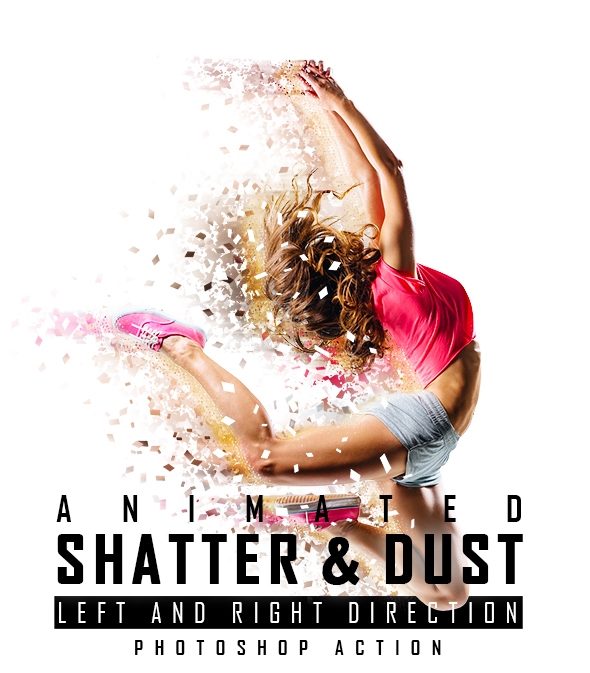 It contains one Newsletter template with 10 colors option and PSD file.